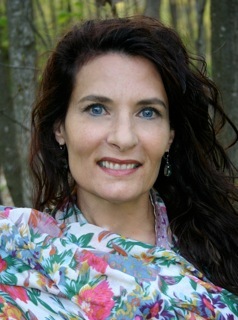 Hello, my name is Lisa Brzezinski, founder of Naturally You Hair & Wigs. I first want to thank you for visiting with us, and hopefully this is the beginning of a professional and exciting relationship. A little bit about me – back in 1984, I began my career in cosmetology, which was the start of a life-long passion that still continues today. Serving clients in the Greater Milwaukee area brought constant joy to my life, being able to transform their appearance and thusly their confidence was the driving force behind the love of my profession. In 1997, I was diagnosed with breast cancer. Obviously, this came as a great shock to me and, as you can no doubt guess, was a frightening experience. As I continued with treatment, I went through my own medical hair loss. It was strange because I had devoted my life to boosting my clients’ self-assurance through hairstyling, and here I was, slowly losing my own hair. For a lot of people, including myself, hair is part of their front-facing identity and now I was facing a dilemma of how to keep my personality shining through during this experience. After researching wigs and talking to people who had gone through the same struggle as I was, it occurred to me that there wasn’t really a resource locally that provided the service I was looking for. Those dealing with hair loss are often alone in their search for a wig that meets their expectations – be it online stores or local shops, it’s difficult to leave satisfied when you don’t have a helping hand that knows what you are going through. My philosophy on hair suddenly evolved and a new approach came to life during this period of my life. I wanted to be able to provide a comfortable, professional, but also stylish way of helping those who are going through the same hair loss that I was experiencing. My mission was to help alleviate the anxiety of this struggle while also using my years of cosmetology experience to assist my clients in picking and fitting the correct wig for them. In the end, I thought: with so much going on in these people’s lives, there has to be someone able to give them a part of their identity back? I made it my goal in life to become that person. 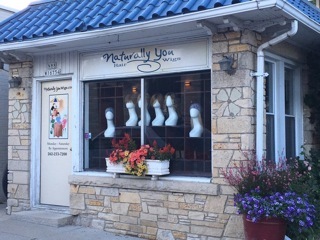 Naturally You Hair & Wigs is not just a wig shop – it is a calming experience and collaborative effort. As we work together, I’ll discover exactly what you want, and if it already exists, great – we’ll get you fitted and on your way with everything to maintain this new look. If it is more of a custom solution you desire, we can do that as well – crafting the best fit for just you. When my clients leave, they leave hopeful and confident, as if they just left the hair salon. Every day I watch the transformation happen before my eyes – the anxious, lost client suddenly disappears and you see the strong, beautiful personality that exists beneath. That, for me, is why I’m proud to own and operate Naturally You Hair & Wigs.